Class schedule below is for the CMK of Sartell Dojo. Refer to locations other CMK dojo locations. Please feel free to contact us for more information. *Class schedule subject to change without notice. 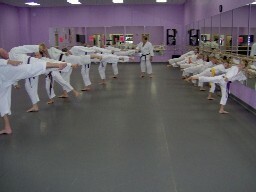 Note: Adult Beginners receive a Private Orientation class. Rates: Please contact us for current rates.